Last week we talked about a single rumored arrest over the OiNK torrent tracker. Since then, there’s been a confirmed report of 6 arrests. The arrests appear to be the result of users uploading pre-release music to the now defunct site. For some time, police have had access to the OiNK user records minus the passwords which are thought to be stored as a salted MD5 hash. It seems British authorities can force these individuals to reveal passwords under something called the Regulation of Investigatory Powers Act. The Phoenix Mars Lander (pictured above) has found what might be a large piece of ice directly underneath it. This week the lander will scoop up a sample, melt its contents and test the various gases it releases. Twitter users can watch the mission’s progress in semi real time by following the MarsPhonix account. Lastly it looks like the official website for this mission was defaced through a SQL injection attack. We already reported the world’s largest GPS drawing as a hoax. It has however inspired a few to look closer at the concept of position based art and others have already created authentic works. 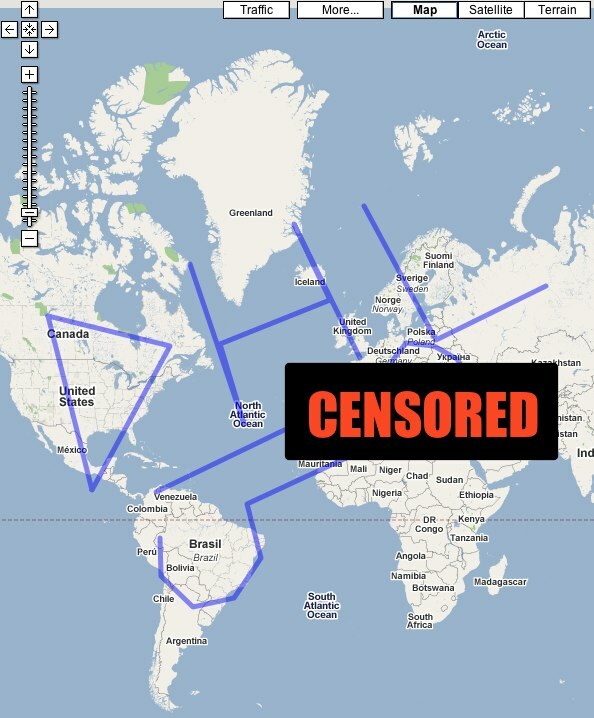 Our friends over at BoingBoing even made a little flash application to create your own “Unimpressive GPS Art“. Upon hearing of the hoax we were quick to draw up a brand new proposal for DHL using Google maps. British authorities have reportedly begun arresting users of OiNK. Last week at least one person was arrested for seeding a single album on the now-defunct torrent index. The user was questioned by police and then released on bail. Though it is not new for record companies to engage in civil action against users of filesharing networks, legal experts who have commented on the case are puzzled by what – if any – criminal charges can be filed against filesharing defendants. It is unknown if any further arrests have been made.